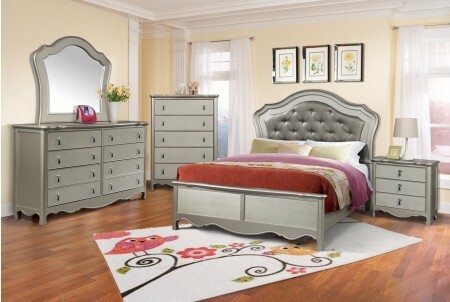 B660 bedroom set in silver finish two tone elegant traditional style. Creative classic curves on the mirror, headboard and at the bottom of each piece. 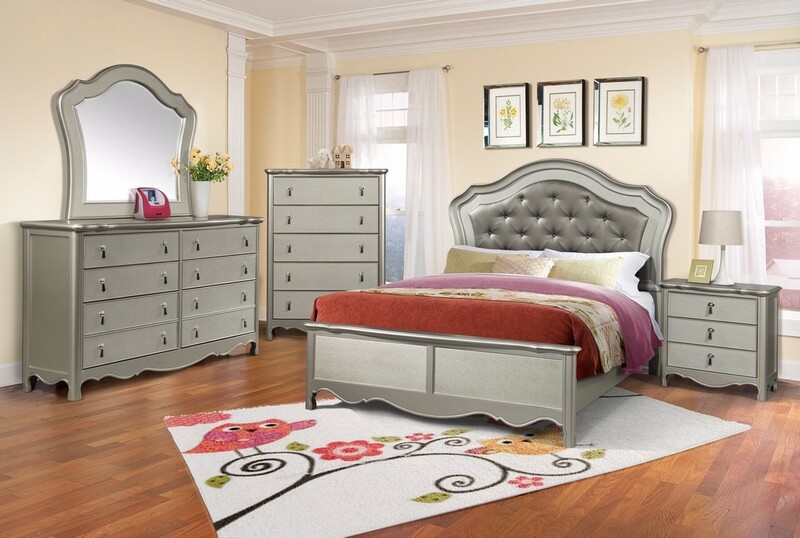 Large smooth opening drawers on dresser, chest and nightstands accented by silver knob handles. Button tufted upholstered grey headboard panel bed in queen and king sizes.